Amber May wanted to open the phone lines to the callers to give the listeners an opportunity to share what is on their heart. Amber May Speaks with Cruz and Judy about their Celebrate Recovery ministry in the Jails of Maricopa County. These ladies have a passion for ministering to the inmates. They bring hope and healing into the inmates lives. Fortunately for us, if we are suffering with an addiction, we don't need to be incarcerated to participate in Celebrate Recovery. There are several churches around town and across the US that provides the Celebrate Recovery Program. 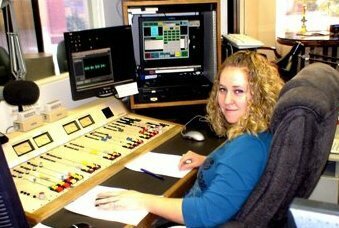 Amber May needs help to keep her half hour weekly program on the air. If you have been blessed by any of the programs, please consider becoming a monthly partner or sending a one time gift. You can donate by visiting her website at www.ambermayshow.com. Amber May Speaks with Stewart Smith from First Step Men's Movement. Smith has an interesting ministry. He and a group of other men go into the inner city and share the good news of Jesus Christ to gang members and drug dealers. He has seen lives transformed through the power of the gospel. Listen to how Stewart Smith is making an impact. Amber May speaks with Jordan Sekulow about how the National Day of Prayer is being attacked. The believers of Christ need to realize that our ability to practice our faith in America is being attacked. We need to wake up the sleeping giant and fight for our faith. If God is before us, who can be against us?